1. 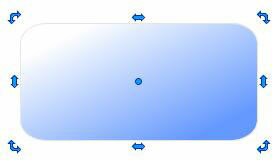 Double click on an object you want to rotate; blue arrows will appear around the selected object. 2. Drag the corner arrows until you get the desired angle of rotation. Note: You can also change the center of rotation for the selected object. 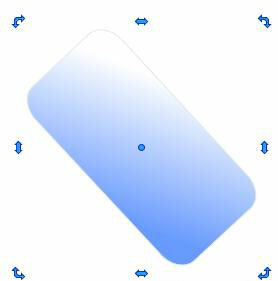 To do so, move the blue circle located at the geometric center of the object.